During the summer I want meals to be quick and easy to prepare, but also refreshing and filling. These grilled shrimp skewers are seasoned with cumin, paprika and onion powder to give them a nice flavor. 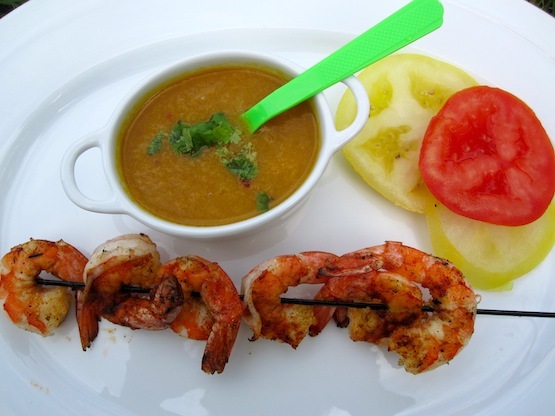 Then they’re grilled and topped with a sauce made with mango pulp, onion, hot pepper, garlic, cilantro and butter. 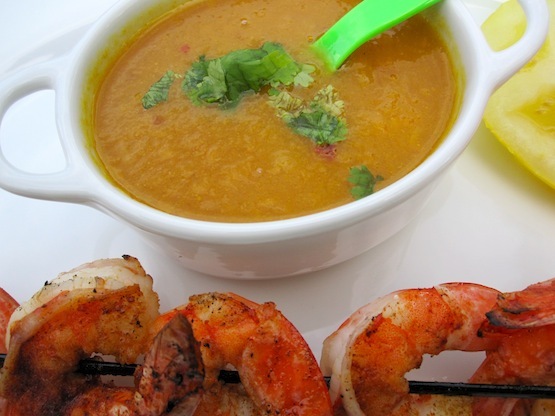 Shrimp and mango together are one of those perfect matches. 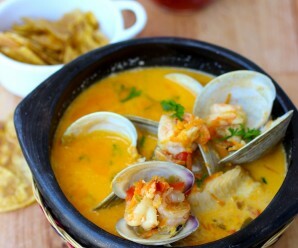 This mango sauce is a great accompaniment to any type of seafood. It works especially well with baked salmon and grilled tilapia as well. You can prepare these shrimp skewers as part of a full meal or make them smaller and serve them as appetizers with the sauce. Heat butter in medium saucepan over medium heat. Add onions and garlic and cook until soft. Add mango pulp and cook for 5 minutes, stirring often. Add the sugar, red pepper, cumin and cook over low heat for 10-15 minutes. Season with salt and pepper. Sprinkle fresh cilantro and set aside. In a bowl, combine the olive oil, the cumin,onion powder, paprika salt and pepper. Add the shrimp, stir to coat and refrigerate for 15 minutes. eat a grill over medium-high heat. Remove the shrimp from the marinade and discard the marinade. Thread the shrimp onto skewers. Arrange the skewers on the grill and cook for 2 to 3 minutes per side. Serve immediately with the mango sauce on top or the side. This looks delish! Got to try the Mango Sauce. Fantastic recipe! Great flavors. I agree. I just want to eat lots and lots of sorbet. Oh wow! 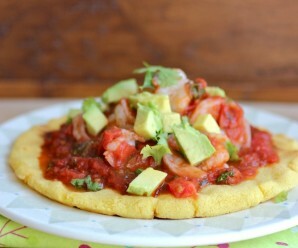 I have been craving shrimp in the worst way and this look absolutely delicious. I bet the mango sauce is a great combination of sweet and spicy. Fish & mango salsa was for dinner 🙂 I love sweet and spicy sauces this way. best of both worlds. So bright and tasty looking! what great flavors for summer! just perfect! This is beautiful and I think can goes with my mango pudding. 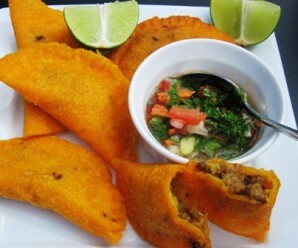 In some Chinese restaurant they have thick mango sauce with slice banana wrap with spring roll skin and deep fried. Thank you everyone for visiting this site! Erica: have you tried hispanickitchen.com. Jorge is trying to build it up and I promised to tell people about it. Grilled shrimp are so summery! Quick and seasonal. Love the mango sauce, sweet with a hint of heat. How did you know I was craving some grilled shrimp. I used to make it all the time and got out of the habit. I guess I was just waiting to discover the right recipe – done! Yum that looks really really great Erica!!! 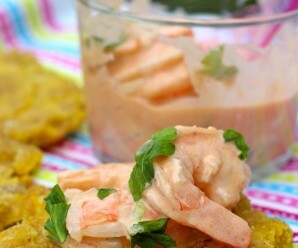 I just love shrimp and mango and I never thought to put those two flavors together….great idea!! The mango sauce sounds lovely! Grilled shrimp is great summer fare.